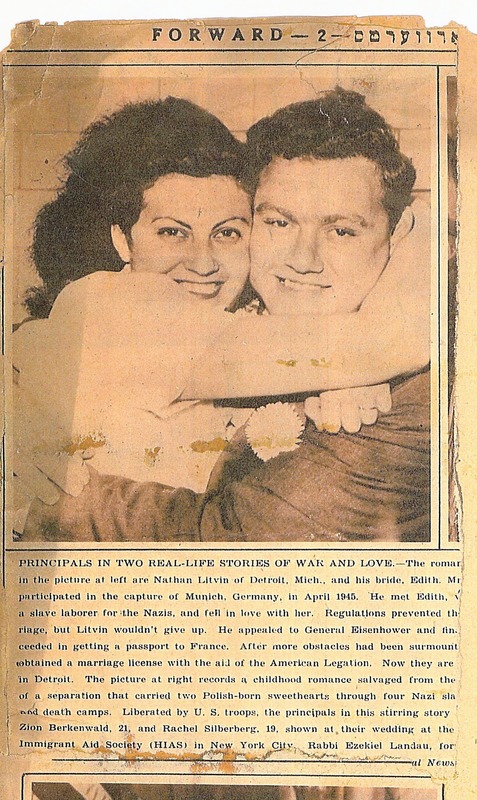 I want to thank everyone that has been so supportive of my effort to honor my dear parents. I sincerely appreciate all of you and thank you for reading my book which keeps my parents memory alive. They are with me in everything I do and every step I take. My sister Greta forwarded the following email to me with comments on my book from Rabbi Sarah Newmark. I am especially grateful for my dear sister's support and astonishing positive energy. 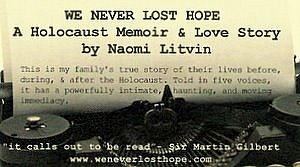 I read the book about your mother and family's lives during the Shoah on the plane to Mexico. I couldn't put it down, though it was, of course, very hard to read in parts. As I told you, I love to read these first person narratives--it's an important way in which for next generations to bear witness. Of course, now I understand the significance of your name, and it has new meaning for me. I think the most chilling statement in the book was your mother's very casual line...."Do you have a Krups coffee maker in your house? "; It's the same company--they changed the spelling after the war. "; I had no idea that this company was involved in slave labor and munitions during the war and, of course, was party to horrific brutality. It made me sick to think I'd given money to that company, even that long ago. Your mother's spirit is hard to explain--she just refused to give up, no matter how horrific the situation. She and your aunt and uncle "lucked out" by being sent out of the camp--to another Hell, of course, but one without crematoria, thank G-d. It was amazing to see her embrace life so strongly after liberation, just as she had before the Nazis came to destroy the Jewish world.